Just minutes from Downtown Newark, NJ, we’re proud to serve businesses with expert catering services including breakfast, lunch or dinner menus for virtually any event big or small. With over 25 years of combined experience the Donato brothers are proud to serve the NJ area. 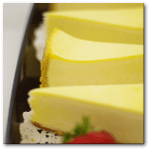 Browse our extensive menu and see why we’re the best choice for your next catered event. If you are looking for catering services for any size event we can help. Reach out to our event coordinators to schedule your next event today! We use local organic ingredients for local farmers (when available) to provide the fresh, high-quality cuisine. Call us today and talk to a representative to learn more about our services and why we are the right choice for your next party. Founded in 1986 John and Richard Donato have built a reputation of excellence in the catering industry. Family owned and operated, we are located in the heart of Northern NJ. Our catering staff prides itself on outstanding customer service and delicious food. Our dedicated to details with both the cuisine and service is what sets us apart from our competitors. We have a staff of over 50 employees making us capable of handling very large events. Let us help you make your next event a special one. Hosting an event can be a lot of work on it’s own. Our professional event coordinators have years of experience in providing catering to some of the largest corporations in New Jersey. Let alleviate your stress and anxiety and plan and execute your next event in style. We have an extensive menu and can cater to your specific needs. Lunches, Dinners, Deserts, you name it and we can help provide you with an extraordinary catering experience. If you have questions or need additional information don’t hesitate to contact one of our representatives. From “Four Corners” to the Newark Legal Center on Riverfront Plaza, Simply Delicious will be there on time and deliver to your satisfaction time and time again. Count on us to get it right every time. Decide on the right amount of food to order. So, you’re responsible for having an event catered, and you don’t want to be responsible for having too much or too little food. Here some insider tips that can save your day and checkbook. Anyone that has experience catering can tell you that the best thing to do is to err on the side of having too much food. Our catering experts also encourage our clients to order trays of food that can be served in small portions, a little at a time. For example, a sandwich tray of a dozen different kinds of four-inch sandwiches can be preferable over a turkey, ham,and roast beef option. Why? It eliminates the risk of any preferred item running out and people being stuck with something they aren’t happy with. It’s a matter of courtesy and prudence. You might also wish to provide your catering company with an accurate headcount and confirm it at least twice. It’s recommended that you call a week in advance, and the day before the event as well. Don’t rely on past events of your catering location to gauge what to order. For example, an office may have 20 people working from Monday to Thursday, but on Friday half of the staff is off. Don’t ever assume the number of attendees or guests. Most caterers plan to deliver food for a few extra guests just in case, so they don’t run out. 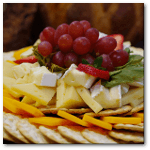 This is a common safeguard that is in place with reputable caterers in New Jersey, but if you use these tips you probably shouldn’t have to press your luck. Are your clients and prospects tough to get a hold of? Is it hard to get quality time with them? Well here is a solution caterers know that will help you get more time with hard-to-reach business contacts. First, always avoid grab-and-go foods. When working with a client who you want to spend extra time with avoid otpions that can be picked up and carried off to a different location like the executive suite or their car. This helps avoid the being tempted to take it with them or run an errand during lunch. Try acquiring items that require a plate and fork, so they have to sit down to eat. Make it a multi-course meal if you can, with soup, salad, entrée, and dessert to help them spend more time with you. Provide an extra special or unique dessert, so they want to stick around. Anything you can do to pique their interest and appetite for the longest time possible will be your best bet to maximizing your time with clients and guests. Plan ahead and order to make your catering event a success. Catered events gives a new meaning to the phrase “buying time”. 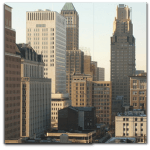 Many large corporations call Newark, NJ home. Audible.com, Prudential Financial, Horizon Blue Cross and Blue Shield of New Jersey, and PSEG are all headquartered in New Jersey’s largest city. Also, well-known electronics manufacturer Panasonic is currently constructing its new North American corporate hub on McCarter Highway. Newark’s accessibility to a multitude of major motorways like the Garden State Parkway, the New Jersey Turnpike and Interstate 78 make it a convenient spot for many of the state’s best colleges. Rutgers Newark and Seton Hall Law School have established strong roots in Essex County’s county seat.